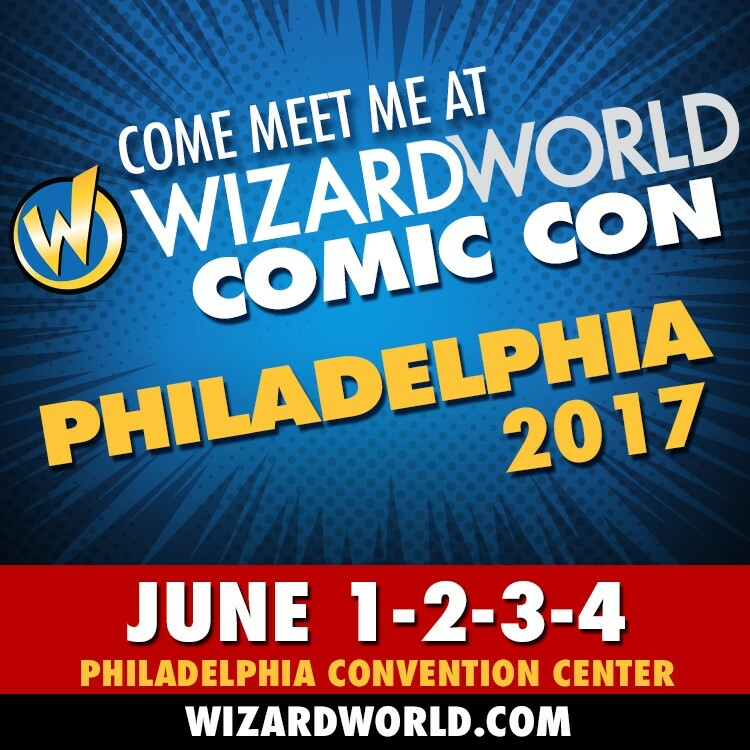 Learn more at the official Wizard World Philadelphia site! If you use the coupon code GUILDED, you can get 20% off your advanced ticket orders. Although most of the really good stuff will be exclusive to the Kickstarter updates, keep your eyes peeled here for occasional comics featuring the Multiplex 10 staff, as well as news and updates on the production. 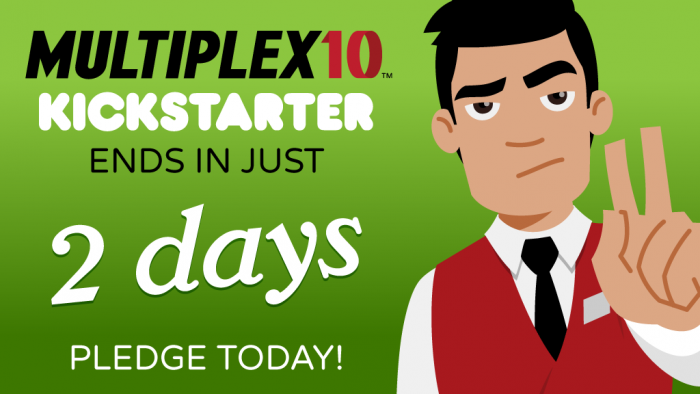 As we get closer to the FINAL twenty-four hours of the Multiplex 10 Kickstarter project, I’m thrilled with how much we’ve raised — but I’d like to make one attempt at sweetening the producer-level ($900+) reward levels in hopes that someone will swoop in for one of those at the last minute. 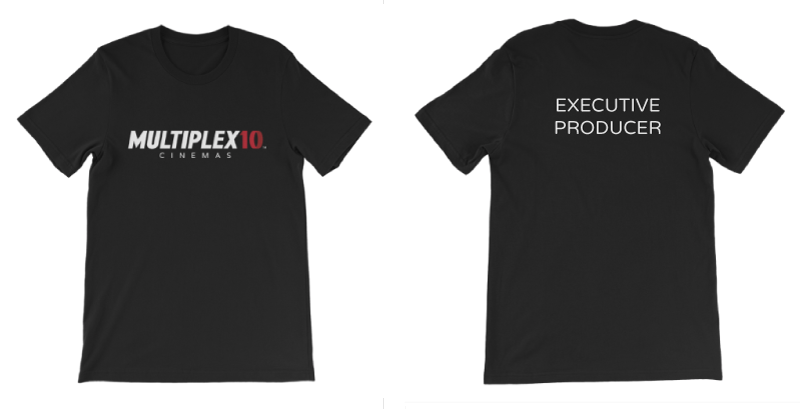 THE ASSOCIATE PRODUCER ($900) — Get a credit as an Associate Producer in the finished short (instead of the Special Thanks) and a special Multiplex 10 crew T-shirt — PLUS all the lower level rewards! THE CO-EXECUTIVE PRODUCER ($1200) — Get a credit as a Co-Executive Producer in the finished short (instead of the Special Thanks) and a full-sized (27″x40″-ish) printed Multiplex 10 poster — PLUS all the lower level rewards! THE EXECUTIVE PRODUCER ($2000) — Get a credit as an Executive Producer in the finished short (instead of the Special Thanks), your production company logo after the credits (I’ll design and animate one for you if you don’t have one already), and dinner with the director (in Somerville, MA; transportation not provided) — PLUS all the lower level rewards! 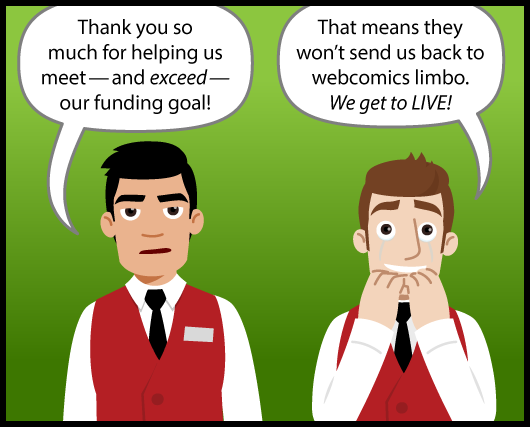 Head over the Kickstarter project page to see ALL of the rewards levels! I wanted to help encourage a few Multiplex readers who loved the webcomic but haven’t pledged to support the animated short by adding a new reward onto that $20,000 stretch goal: a Multiplex 10 comic ebook free to all $25+ Kickstarter backers. 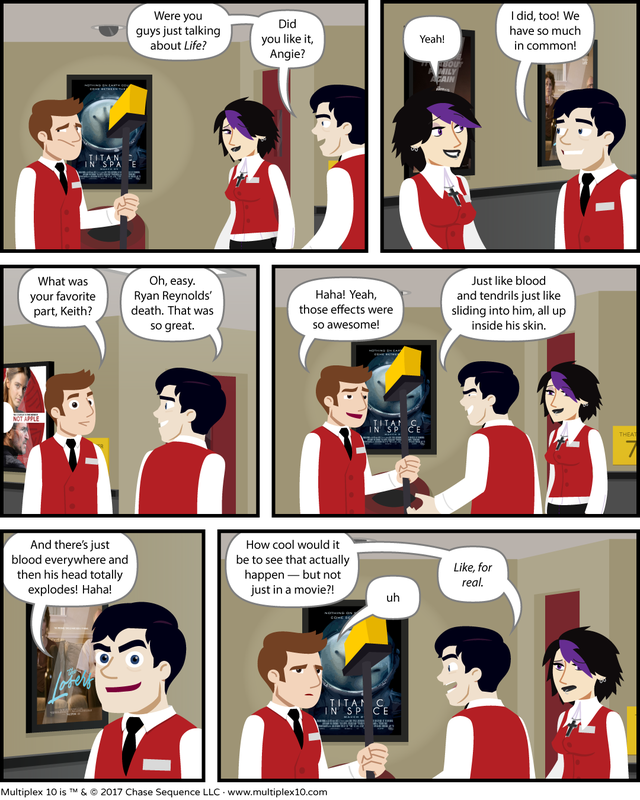 I’ve run a few “story comics” over at the Multiplex 10 site (two of which also ran here), and I will be a few more of those no matter what, but this stretch goal/reward will add even more new comics and make the ebook into essentially an “episode zero” of the animated series. 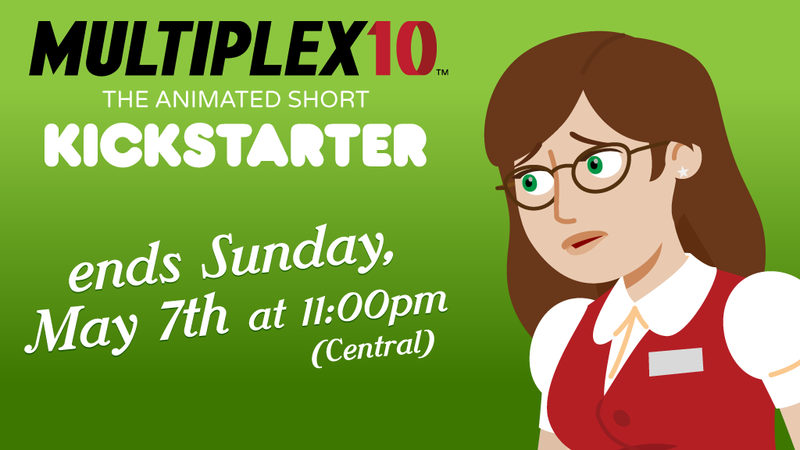 Multiplex 10: the animated short is FUNDED!!! 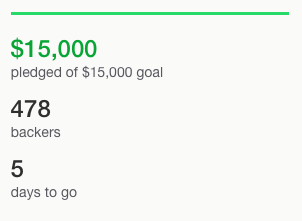 Thanks to Phat Do and 477 other backers and also the one person who just pledged since I started typing this — the Multiplex 10 animated pilot is FUNDED! I think I can safely speak for the cast & crew and say that we are incredibly thrilled to have this opportunity to bring Kurt and Jason and the rest of the Multiplex 10 gang to life. Thank you so much for all your support. What’s even better is that we still have four days to go! As I’ve said before, the more money we raise, the better the short can be. And, of course, the more money we raise, the more money we have to promote and distribution the finished short — which will help increase our chances of producing MORE Multiplex 10. Thank you, again. This is going to be fun.